Preheat your oven to 350 °F (180 °C). To protect the chocolate from direct heat, melt it and the butter in a heatproof bowl set over a small pot of simmering water, stirring constantly. When the chocolate and butter have melted, whisk until smooth. 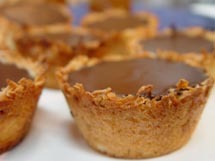 While the chocolate mixture cools slightly, whisk together the flour, cocoa powder, baking powder and salt. Add the eggs, sugar and vanilla to the chocolate and mix thoroughly. Stir in the flour mixture and chocolate chips until incorporated. Pour batter into a lightly oiled and floured 9- x 13-inch (3.5 L) pan. Bake for exactly 25 minutes. 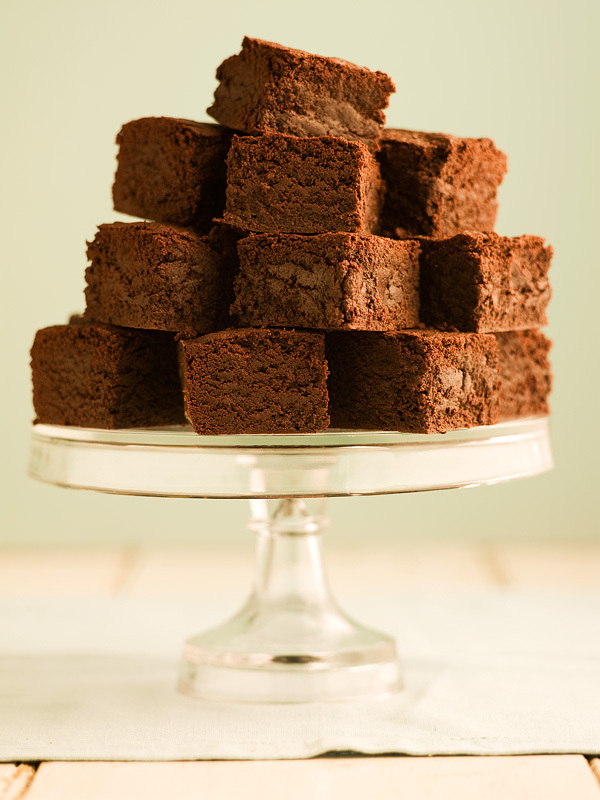 These are a moist fudgey-style brownie. For a more cake-like version, add an extra 1/2 cup of flour to the batter. 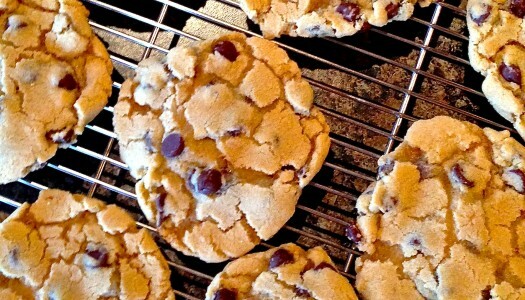 There are many ways to bake a memorable chocolate chip cookie, but this version emphasizes chewiness. If you prefer your cookies with lots of chewy texture without much crispy brittleness, then you'll love these deeply flavoured and tantalizingly textured treats.